Jacob Morgan is the author of the newly released, The Future of Work: Attract New Talent, Build Better Leaders, and Create a Competitive Organization (Wiley). He is also the principal and co-founder of the future of work consulting firm Chess Media Group and the FOW Community, an invite only membership community dedicated to the future of work and collaboration. I first met Jacob a few years ago before he started working on his book The Collaborative Organization, previously reviewed on this blog. Jacob has a new book coming out called, The Future of Work which promises to get readers to think differently about how they work, lead, and build their organizations. Most of us get that the world of work is changing but many of us still don’t realize why it’s changing, how exactly it’s changing, and what we need to do about it. 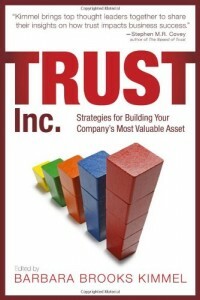 The book is very well-researched (I read it in manuscript) and has some great corporate stories. Its release date is today, September 2. 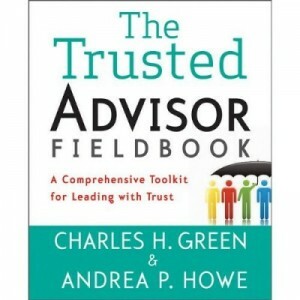 Charlie Green: Jacob, your previous book was endorsed and supported mainly by CIOs, CMOs, and folks that one could say lean more towards the IT or technical side of things. That’s quite a stark contrast to this book, where you’ve lined up impressive testimonials from CEOs and respected business leaders. How did you get these guys involved and why did you up the ante? The Future of Work is much more appealing to a broader audience, I wanted to write something that was relevant to employees and managers alike. We all have or need jobs which means that we all need to be thinking about the future of work! CG: I’ve heard you say numerous times that “work as we know it is dead.” What exactly are you referring to? Clearly we still need to work. JM: What I mean is that the common notions that employees are cogs, managers are slave-drivers, and that work is drudgery, are all dead. By the way, these are actual synonyms that you will find if you look up the words in a dictionary. We spend more time working than doing anything else in our lives so it’s about time that we start thinking differently about work. CG: Well then, just what does the future of work actually look like? JM: I get asked this question a lot. It obviously includes a LOT of different things. But broadly speaking on the employee side we will see things like flexible work, freelancing, decreased employee tenure, and a shift towards focusing more on projects and tasks vs career paths. For managers we will see greater use of collective intelligence, an acceptance of vulnerability in the workplace, and mindset change from “employees should serve managers” to “managers should serve employees.” Organizations will become more distributed, they will shift to the cloud, and will have to measure success by more than just profit. CG: I’m sure some companies out there are thinking, “things are going fine for us, we’re making a ton of money, no need to do anything differently.” What would you say to do those companies? JM: I don’t think those companies realize what they are talking about. What’s going on today is unique. It’s not just the fact that change is happening that’s important, it’s the fact that the rate of change is increasing. That means that being a late adopter is tantamount to being out of business. CG: Jacob thanks for sharing with us. The Future of Work: Attract New Talent, Build Better Leaders, and Create a Competitive Organization is available on Amazon and wherever books are sold.